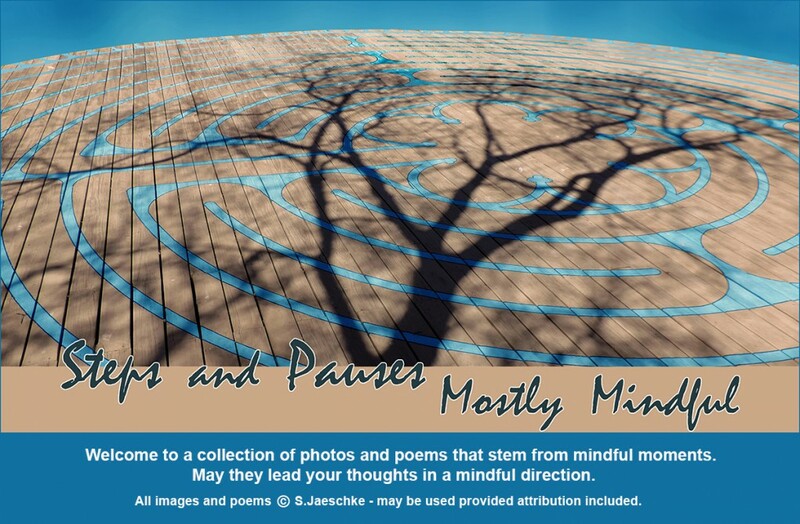 Posted on 2018-12-10 by Jazz Jaeschke	This entry was posted in Mindfulness, No Standing Still, Symbols and tagged Bruises, Death, Falls, Mindfulness, Photo Collage, Richard Wehrman Poetry. Bookmark the permalink. I feel like my fall was a gift of sorts (certainly the nothing broken was a gift!) – and those bruises were a reminder every time I encountered a mirror for long enough that I couldn’t just write it off. I’d like to think I “got it” and won’t need another tumble reminder. You, too – stay upright so you can keep writing poems!! With each mishap, I tend to think, “Well, fewer of those, with less time ahead.” But , actually there seem to be more! Ken, I think you’re right, that no matter what precautions I just learned about tripping in the driveway, some scenario slightly different will present down the line and I will “fall for it”. I’ve apparently got strong bones that don’t crack easily … yet … so far, more to be thankful for than worried about! Good that we are resilient – in body and especially in attitude! Thanks for letting me know I’m not alone in my tripping. Been there, done that!! Glad you are OK! Oh dear – another of us! Thank you – I am lucky to be fine. It is amazing how the body heals itself – most of the time. I am glad that you are seeing this stumble as a gift. The universe has interesting ways of teaching us about life and mindfulness. Great post and I love what you did with the photo. Luanne, thank you – I had fun with the photo! I believe EVERYthing is a message … many overlooked due to distractions … and that sometimes the Universe gets a tad dramatic to get my attention. So sorry to hear about your fall, Jazz. Never a welcome trial. Sounds like you dealt with it philosophically – hope you are recovering well. Falling “into silent awareness” – love this line. It certainly shakes us up. VJ, thank you – today makes 3 weeks since damages, with visible traces all vanished. But the inner jolt is likely (hopefully) permanent. Gotta watch where I’m stepping!! Lucky, I guess, that it wasn’t worse.